A spacious room offering a king size bed, cable television, mini-refrigerator, microwave and featuring a two-person corner whirlpool. An accommodating bedroom suite with a king size bed and cable television that joins with a parlor finished with a sleeper sofa, coffee table, mini-refrigerator and microwave. 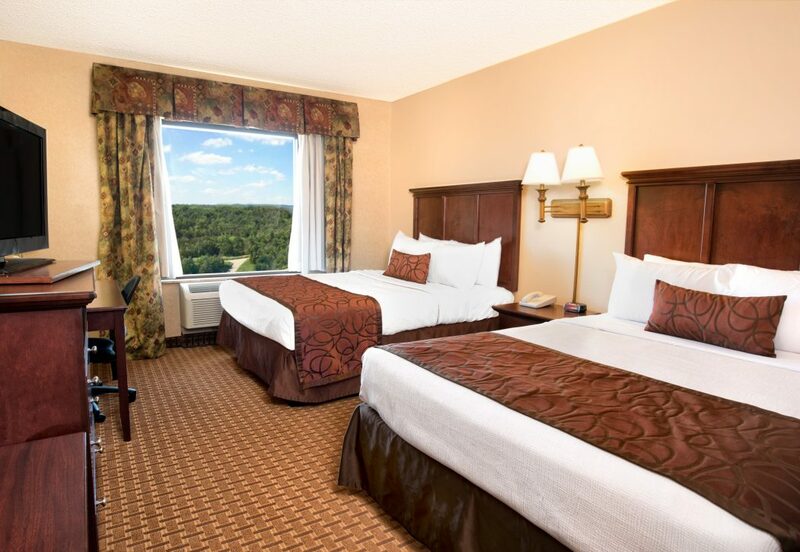 This single entrance, two-bedroom unit is perfect for families on vacation in Branson. 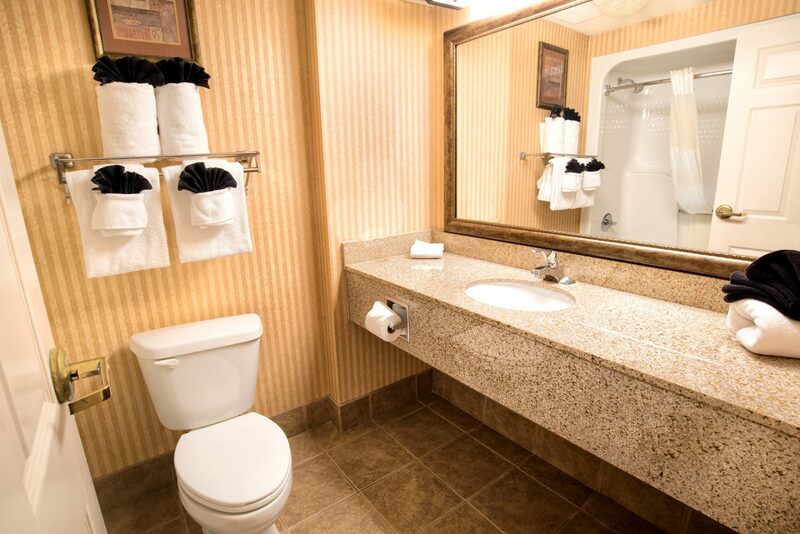 Rooms are divided with a closing door for privacy with each furnished with king size beds and a private bathroom. Each Family Room also has cable television, microwave and mini-refrigerator. 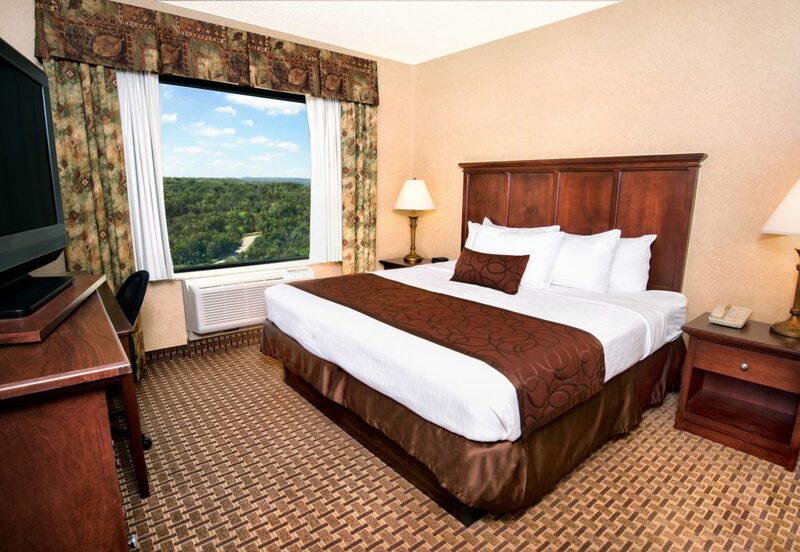 Enjoy your stay with two comfortable queen size beds, cable television and complimentary WIFI. 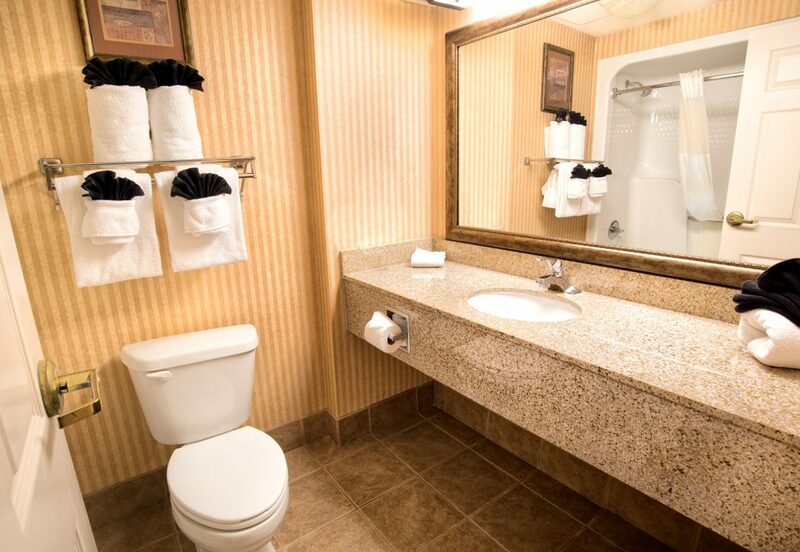 A deluxe two-room suite perfect for couples or traveling executives visiting Branson, Missouri. 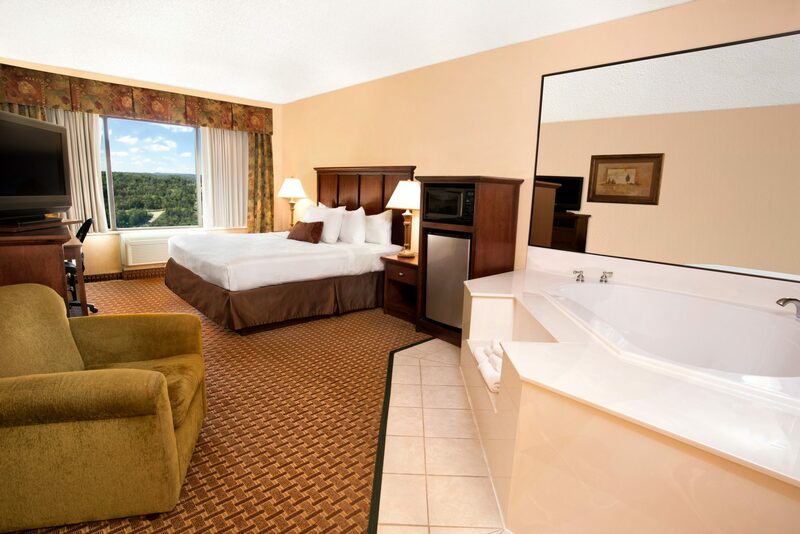 The bedroom is furnished with a king size bed and large two-person garden whirlpool tub. 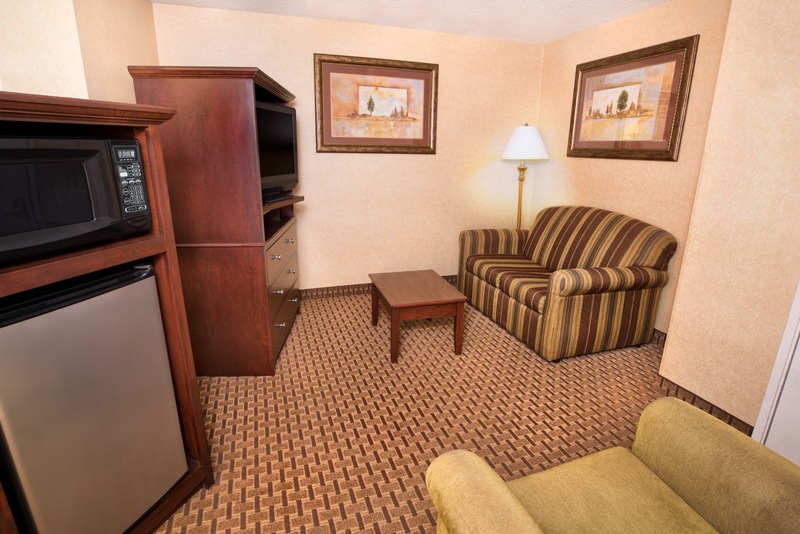 The entry parlor features two comfortable chairs, coffee table, television and a side kitchenette that offers a microwave, refrigerator and in-room coffee maker with courtesy coffee.